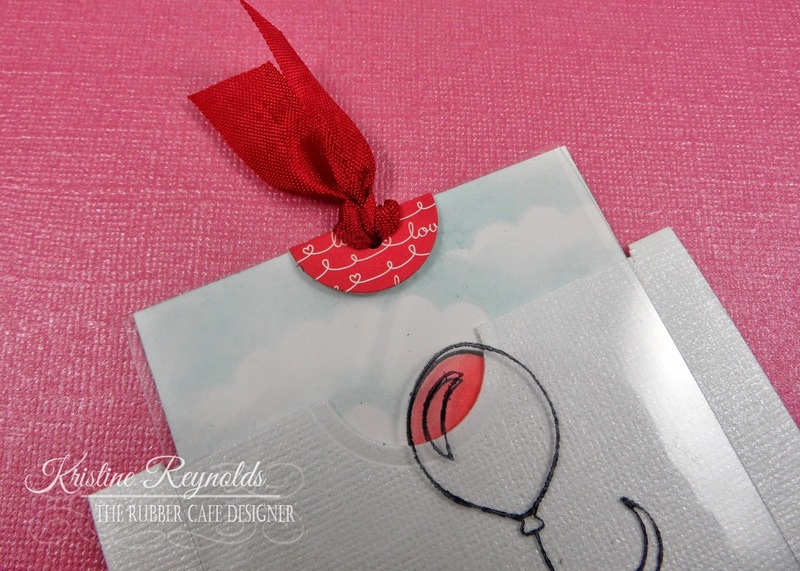 The Rubber Cafe Design Team Blog: Magic Card featuring February's Creative Cafe' kit of the Month! Magic Card featuring February's Creative Cafe' kit of the Month! 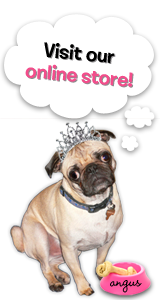 Hi Rubber Cafe' Fans! Happiest of Valentines to you and yours! 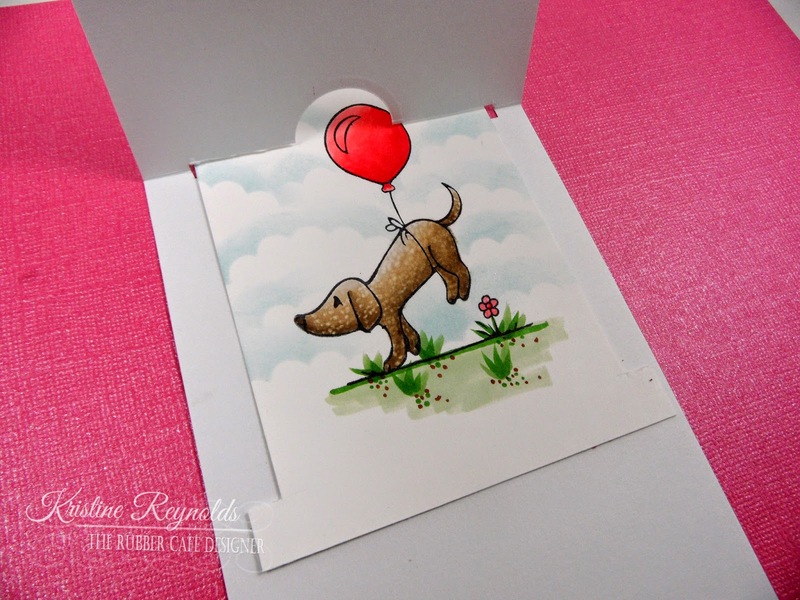 So excited to share another card that I made with this month's Creative Cafe' Card Kit. 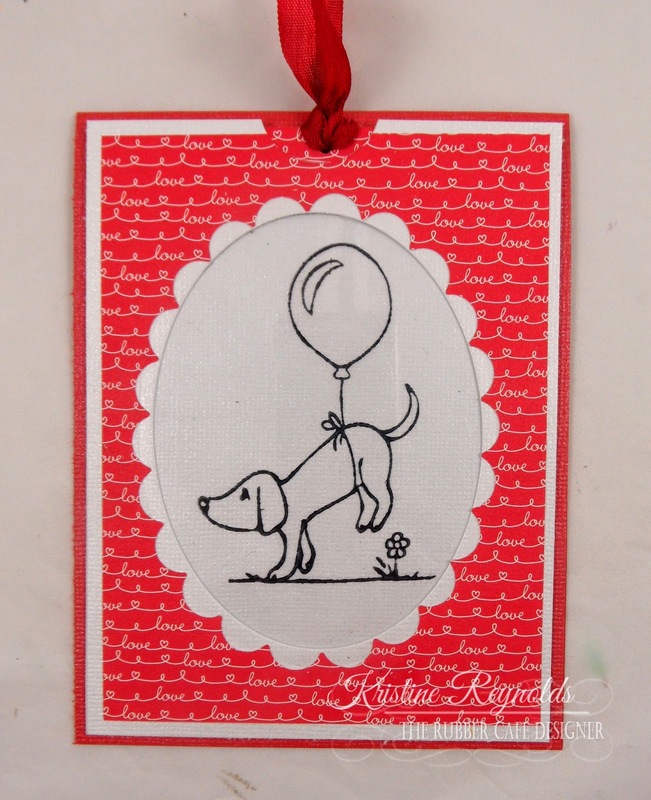 This months kit is called Love the Most Wonderful Thing and it is full of adorable furry friends! Today I made a "magic" card inspired by a tutorial on Splitcoast Stampers. It's been a while since I made one of these. They are so fun! 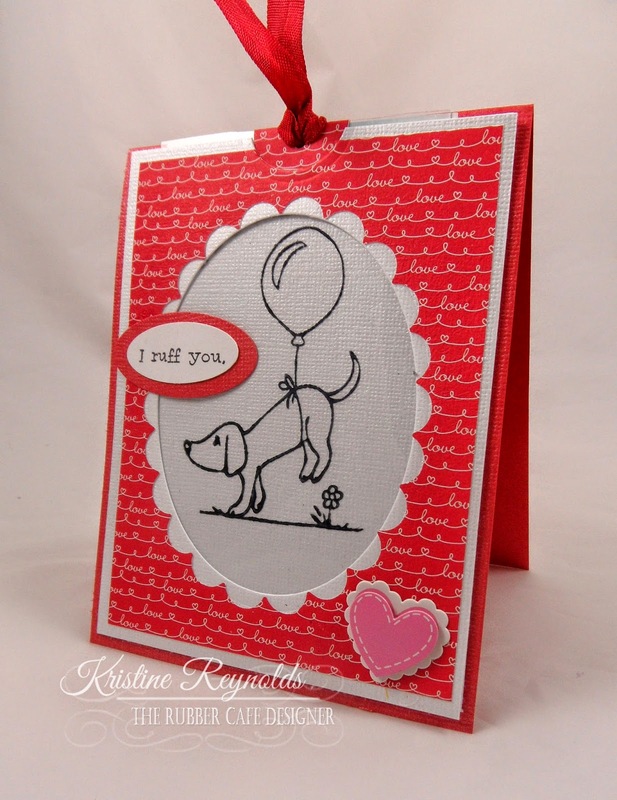 I used the "Live, Love, Bark" stamp set that comes with this months kit as well as the add on set, "Love is a Four-legged Word"
This is how the card looks at first...kind of boring...huh? But as you pull up on the ribbon it "magically" gets colored! 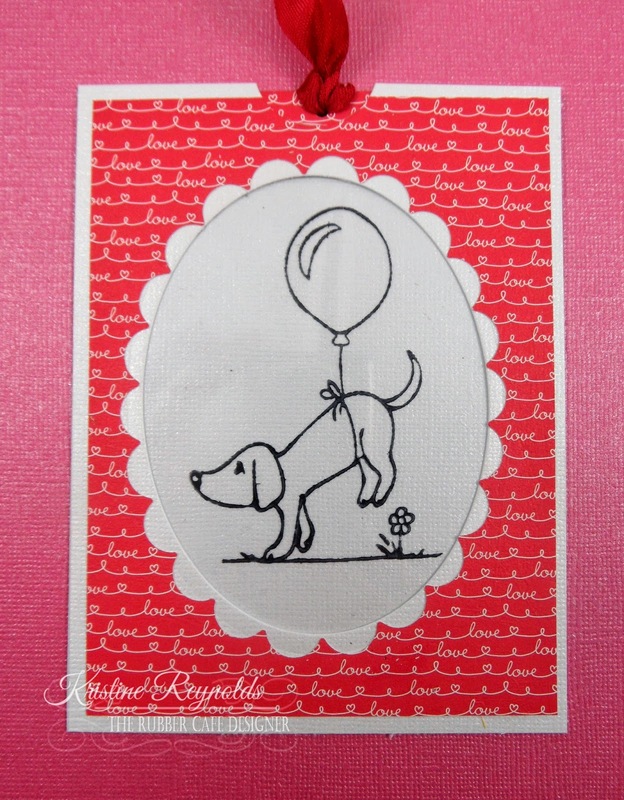 It's a little bit of work but so worth it for the recipient when they receive this magical card. 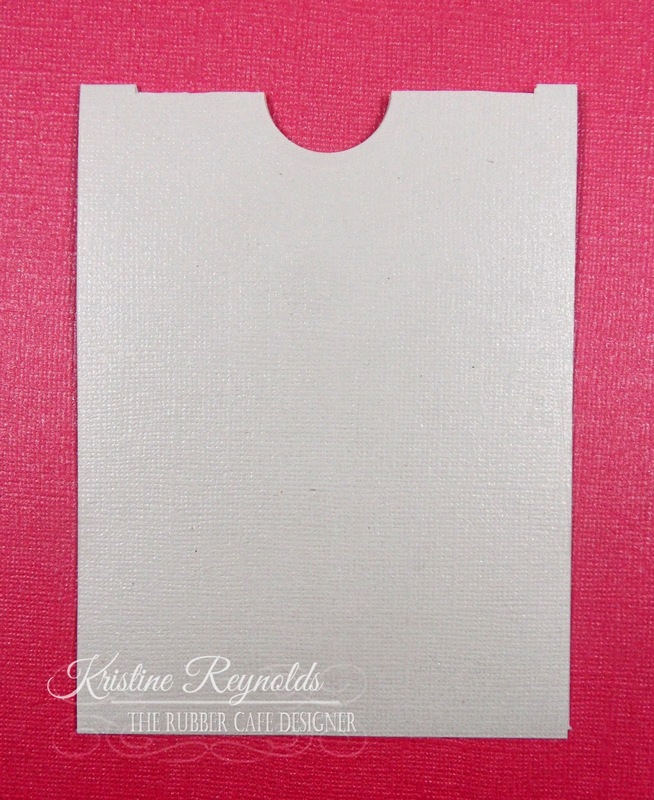 To make this card start with a 4" x 10 1/2" panel of white cardstock. Score it at 5 1/4"
Cut a little bit on each side of the score mark to create a slit in the center as shown in the picture. Cut a 3 5/8" x 5" piece of white cardstock. Trim along the sides to 1/2" from the bottom as shown. Stamp image on the panel with Memento Tuxedo Black die ink. 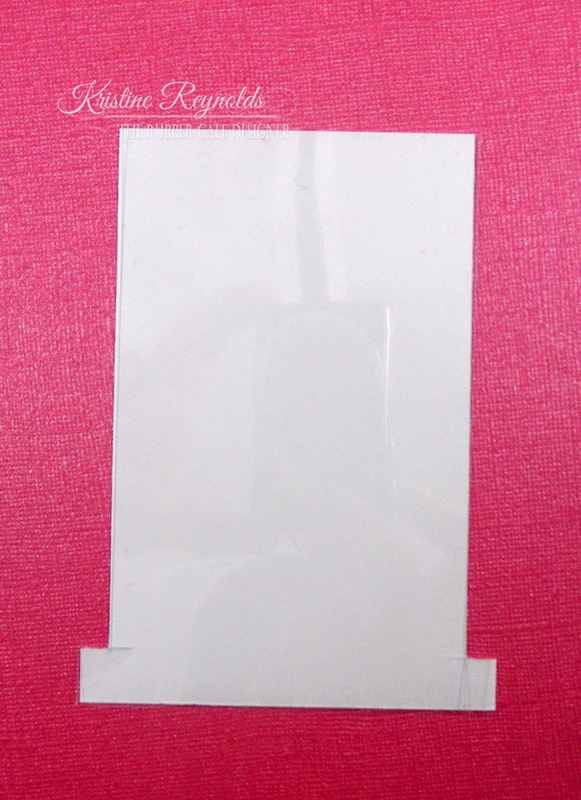 Cute a piece of acetate the same shape as the above panel. 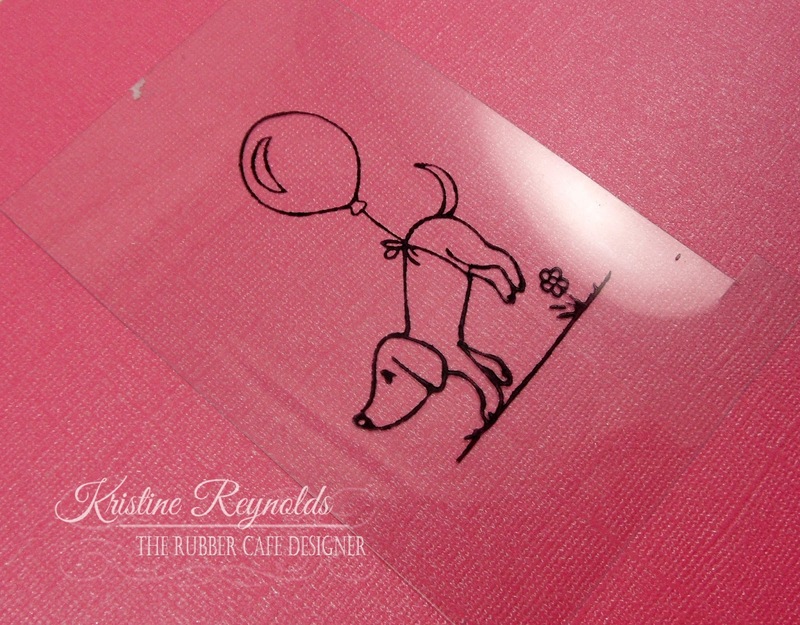 Lay it on top of the stamped panel and stamp the image on the acetate with Staz on ink so that it matches the image. 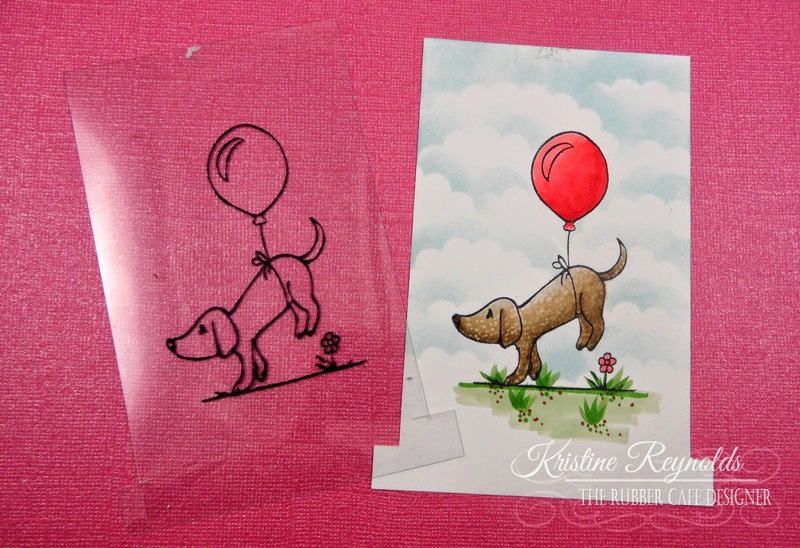 Color the image on the white cardstock with copic markers. Return to the original 4" x 10 1/2" panel and fold it in half. Place the colored image panel on the inside so that it can slide through the slit. Lay the acetate panel over the top of the panel matching it up with the colored image. 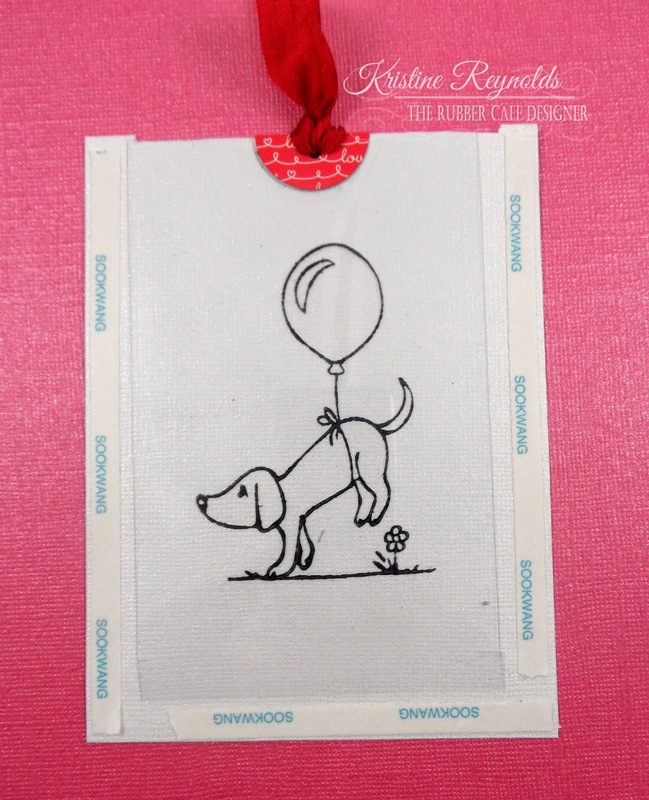 Add a circle panel of patterned paper over the top and punch a hole. Tie the ribbon through the hole. Add score tape around the edges of the inside of the panel and seal it shut. 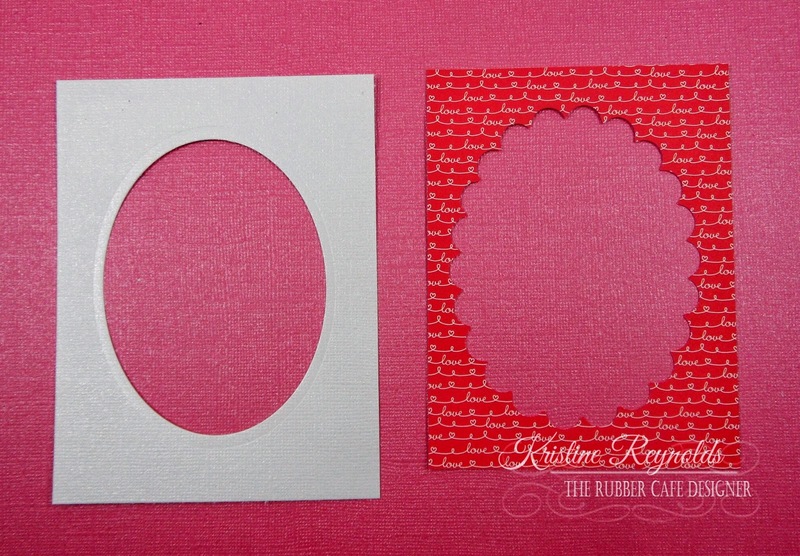 Use Spellbinder dies to die cut oval and scallop oval shapes in the panels. Adhere the panels to the front of the card. 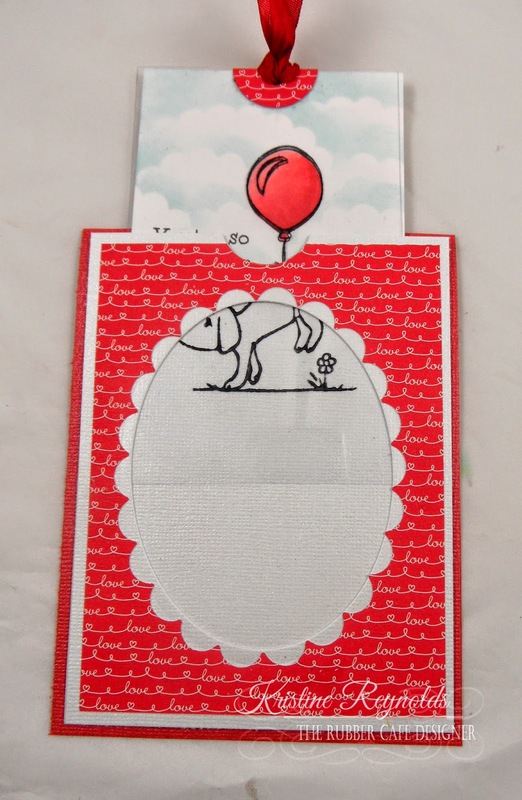 Create a top folding red card by folding a 11" x 4 1/4" panel of red cardstock in half. 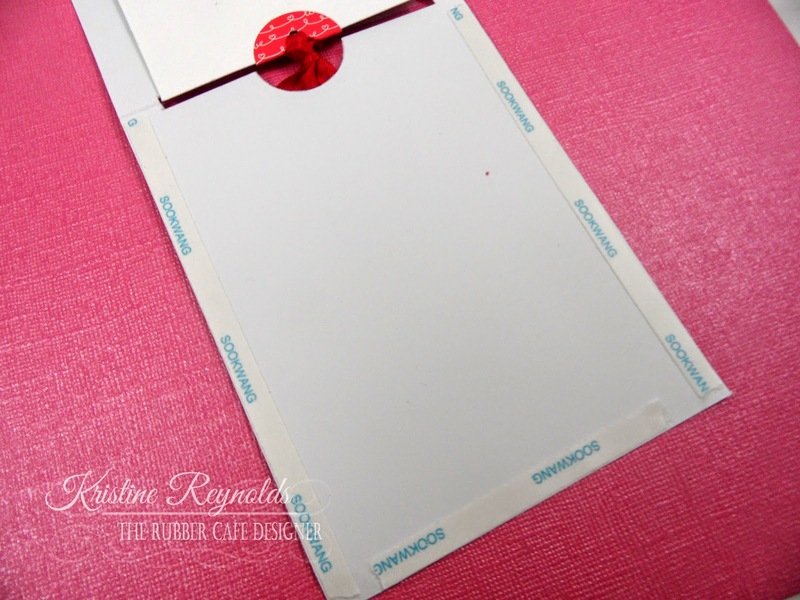 Adhere the magic panel to the card with Scrap Happy Glue. 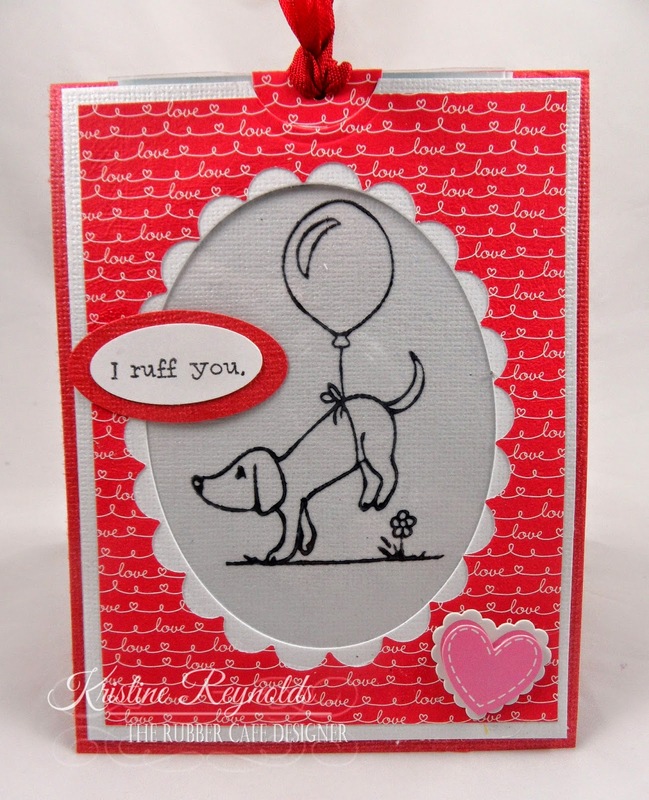 Add sentiment and heart embellishment. 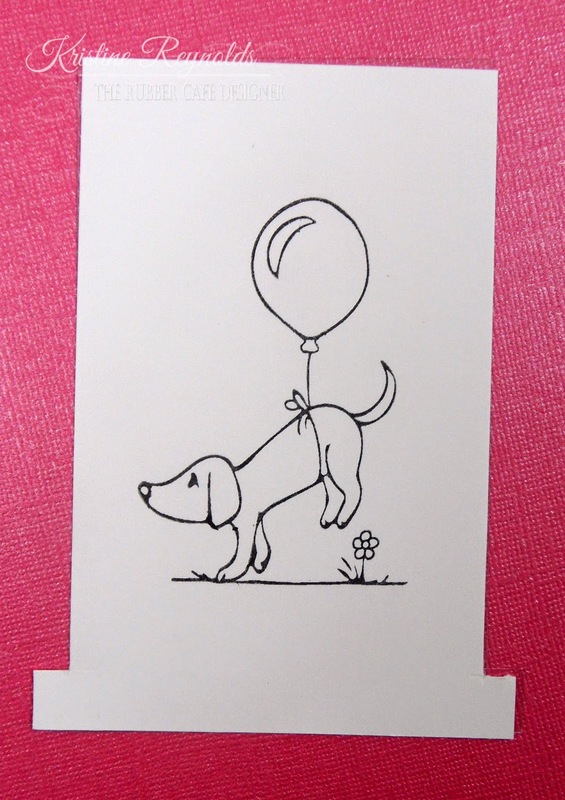 I hope you enjoyed my card today. 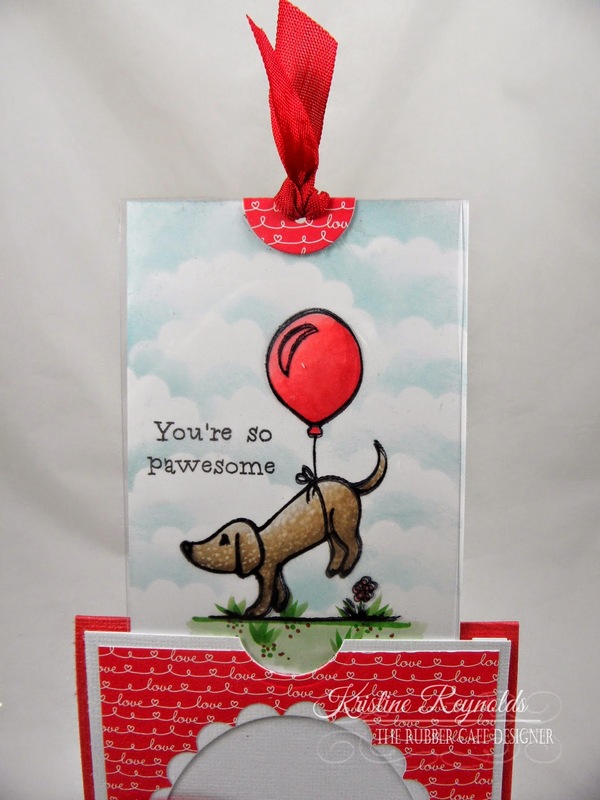 I'll be back soon with another fun card for you!